Good morning! Sorry for my lack of posting yesterday. I've got an incredibly busy week with planning for upcoming events, a volleyball tournament, soccer starts, two clubs and it's Thanksgiving weekend so two turkey dinners. 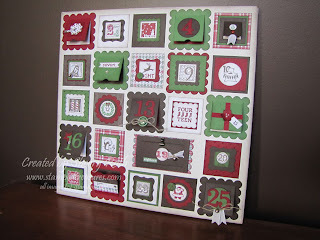 Next week (Friday) is my countdown calendar class - I'm so excited about this class - the project is beautiful! I'm looking forward to adding it to my holiday decor. I still have a few spots left, if you'd like to attend, let me know - the cut off is October 7th. There is a lot of prep work to this class so I need that extra bit of time to prepare. 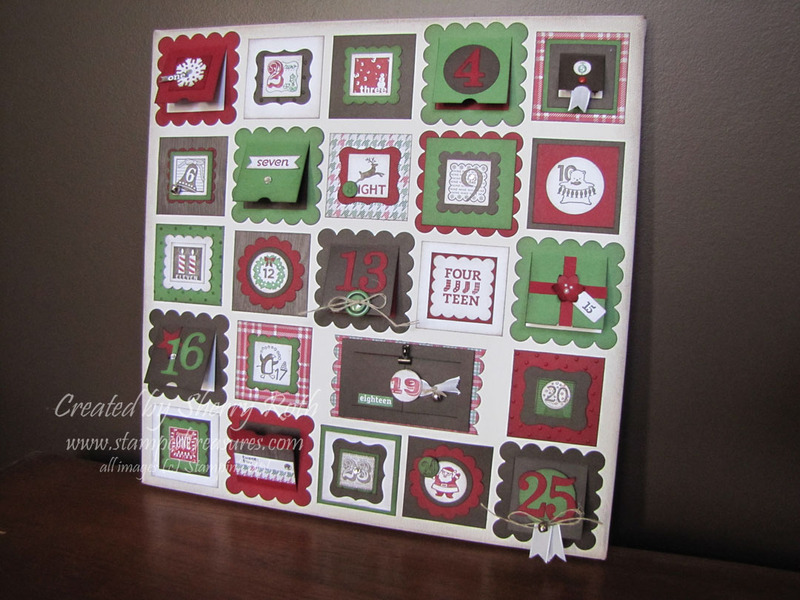 Cost is $45 and includes all precut supplies, accessories and canvas. Let me know if you'd like to join us. Have a great day!